The Verge D9 is a trailblazer. 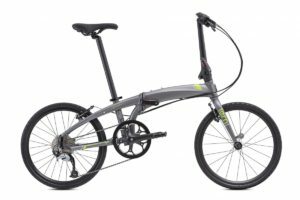 The first Tern with 451 racing wheels (451 has a slightly larger diameter than 20″ wheels) T-Tuned™ geometry, and a wide 1x drivetrain. It’s about as much value as we could condense into one bike, and it’s ready for any upgrades you can throw at it. Gear range: 30" - 97"
My bike frame broke on the way to work — hinge pin fell out and became unsafe to ride. I like the Tern Link C7 but this is the second one that’s had some sort of structural issue (the other one had a bad frame weld). Technically it’s my third C7 because someone stole my first one. I went to Warm Planet Bikes in SF on my way in, as they specialize in folding bikes and helped me with the previous issue. They said this sometimes happens with this model, so it’s just one of those design things. I am having the C7 hinge repaired and I will keep that bike as a spare, but I decided to get a Verge D9 as my main ride. It’s a newer model with some significant improvements in folding and frame geometry, as well as upgraded components. It folds faster, it’s lighter, it shifts better. I could feel the upgrades on the test drive. This will be my first bike with Presta tubes and 451 tires — they look like normal 20″ tires but of course they’re just different enough to be not something you can buy everywhere — which makes me a little nervous. But I can get spare tubes in advance, and any good bike shop will be able to get them too. Mostly I just have to learn how Presta valves work and how to get my air compressor to play nice (I have an adapter). But overall the folding bike thing works really well for my BART commute. 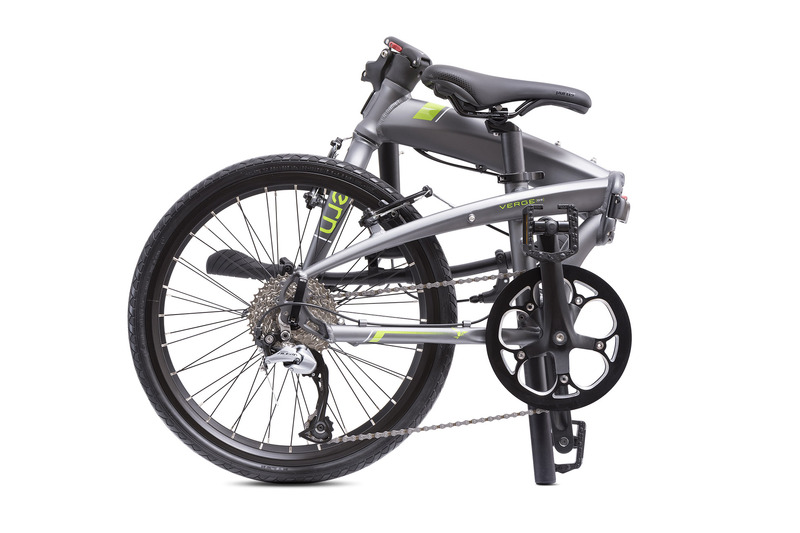 And if you need a folding bike, I can’t say enough nice things about Warm Planet. Worth the trip into the city to work with a specialist, and just two blocks from Civic Center BART.